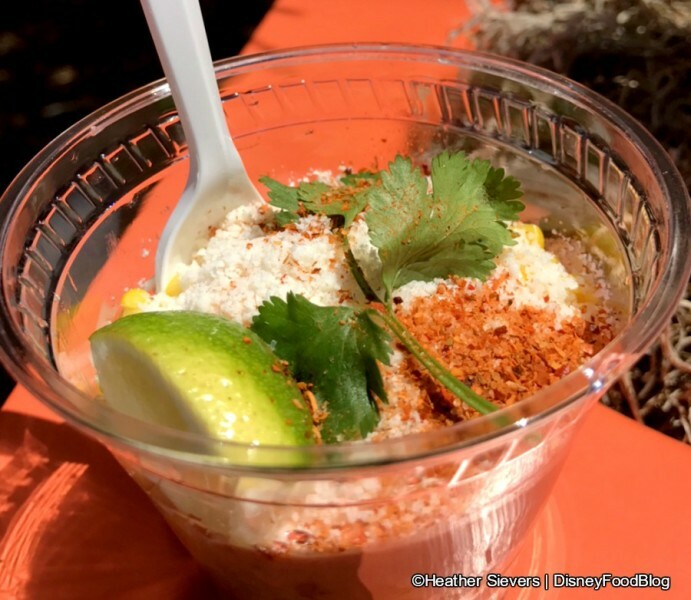 Pixar Fest is one big Disney food party, y’all. 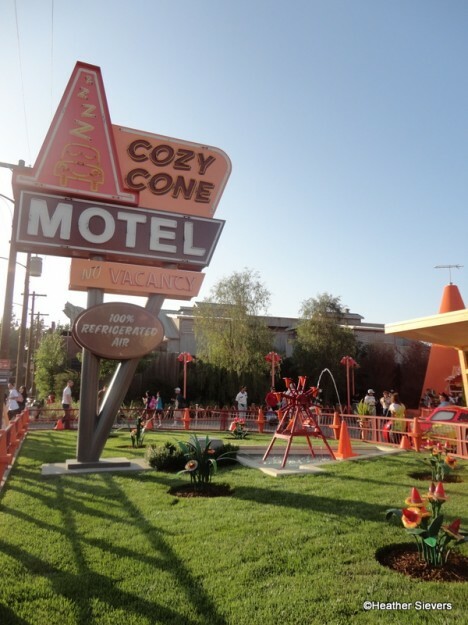 And if you’re idling in Radiator Springs, you’ll want to cruise over to the Cozy Cone Motel and pull in at Popcone. 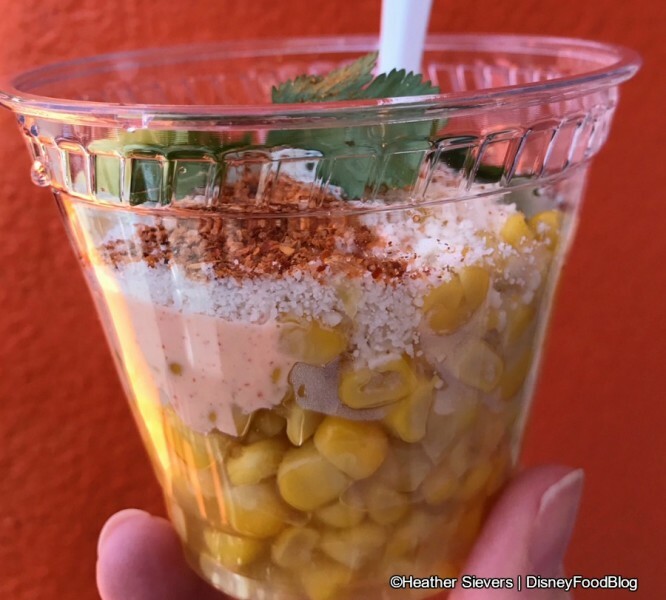 In this Pixar Fest version of the tasty snack, Elote is essentially deconstructed and served in a handy cup! 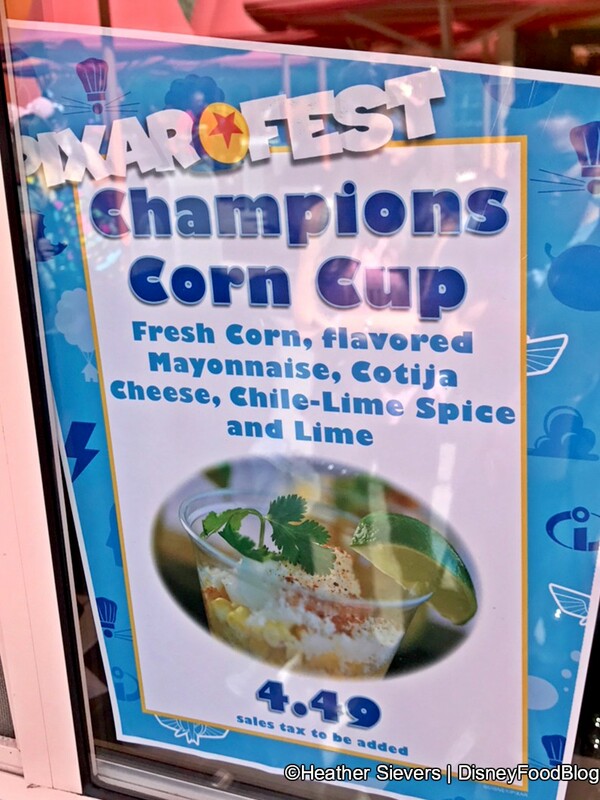 It’s called the Champions Corn Cup (think…Piston Cup! 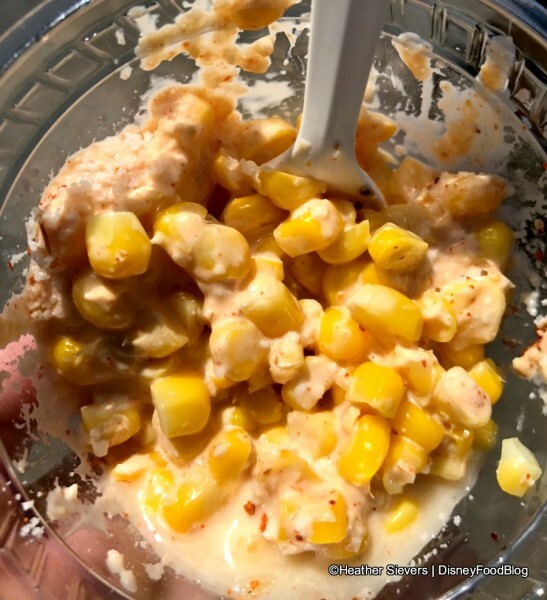 ), and it’s comprised of all the components elote requires: Fresh Corn, Mayo, Cotija Cheese, Chili-Lime Spice, and a wedge of Lime! 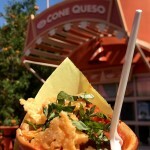 The Cotija Cheese is a great touch — crumbly and refreshing with the spice. And the spice is great — giving the Cup a surprising amount of heat! 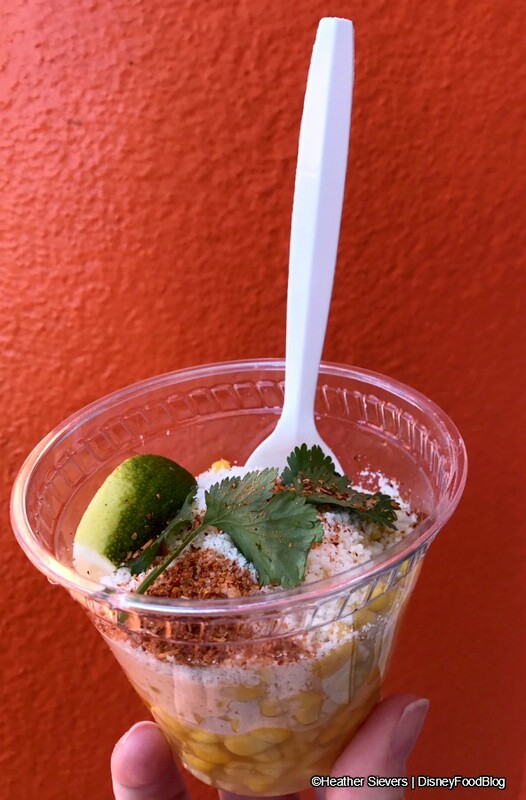 The profile view shows that the Cup is layered — but the cup makes it fun and easy to mix up so you get everything together in each bite. And, well, it’s not the prettiest food we’ve ever seen when it’s all combined, but it tastes dynamite! 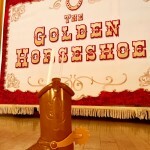 Yup, you’ll definitely want to race in for the Champions Corn Cup! 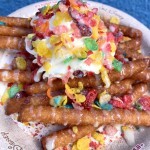 Fruity Pebble Funnel Cake Fries at Disneyland?!?! 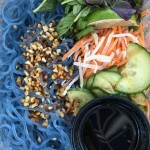 Pixar Fest Eats: Color-Changing Noodles at Lucky Fortune Cookery in Disney California Adventure! 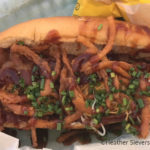 The NEW Western Dog at Refreshment Corner in Disneyland Resort!! 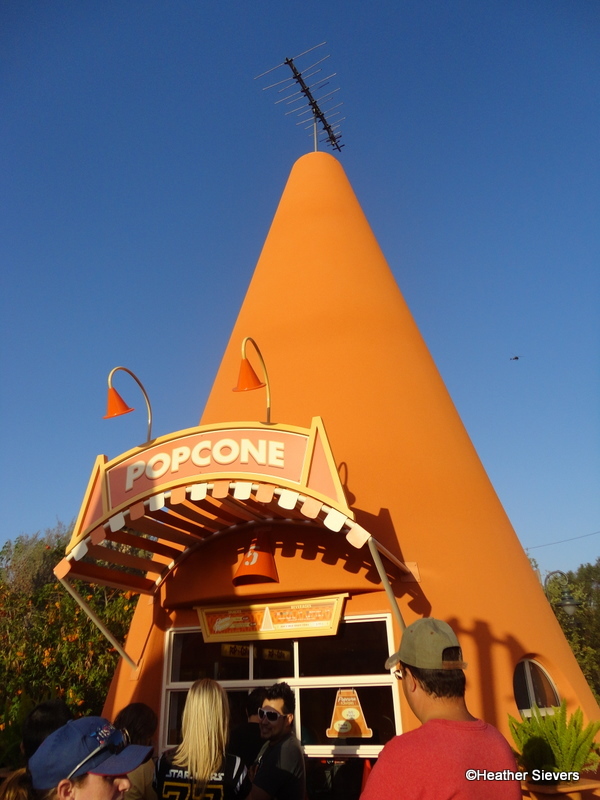 « New Booth and Menu Items Announced For The Epcot Food and Wine Festival!